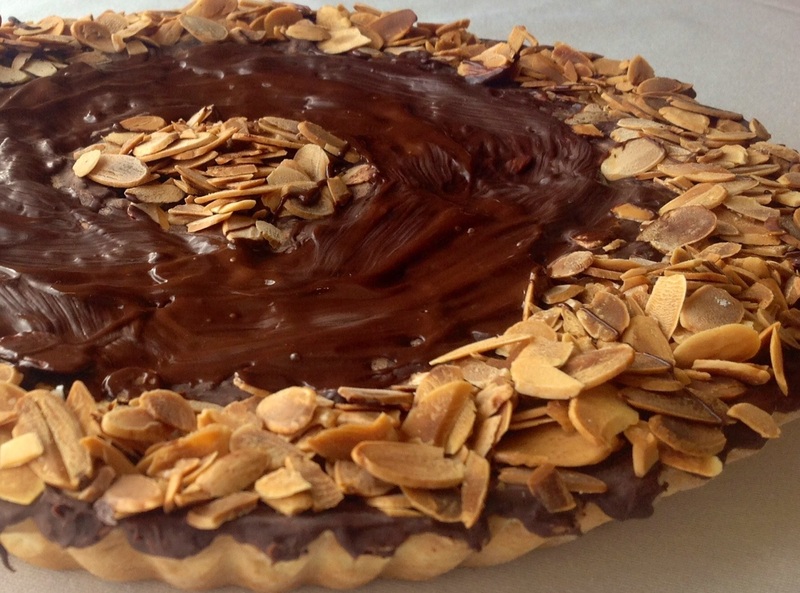 Traditionally baked for special celebrations on the island, the almond and chocolate tart (locally known as it-torta tal-marmurat) combines chocolate, almonds and sweet spices and is coated with dark melted chocolate. This is another recipe I prepared with Renato Briffa, senior lecturer at ITS and specialist in Maltese sweets. His recipes are traditional ones from his father's old bakery situated in Old Mint Street, Valletta, in the '50s. Add the softened butter cut up into small pieces and rub in until it resembles fine breadcrumbs. Mix the sugar with water until it has dissolved and mix into the dry ingredients until they bind evenly. Wrap in cling film and leave to rest in a cool place for at least 15 minutes. In a large bowl mix the ground almonds, sugar and sweet crumbs. Add sieved cocoa powder, mixed spice, vanilla and candid peel and mix well. Finally add the well beaten egg and mix with wooden spoon until the mixture is even. Test for a dropping consistency and if necessary add another egg. Open the rested pastry with a rolling pin on a lightly floured surface. Line the dish with the pastry. Trim the pastry neatly and dock it with a fork. Spread the marmalade on the bottom of the pastry and then fill with the almond mix. Take a spoon and dip in hot water and run over the surface of the filling to achieve a tidy finish. To finish off, melt 150 g of dark chocolate and spread it on the tart. You can use a palette knife but I like to brush it on with a large pastry brush in several layers. Decorate as desired with roasted almonds.